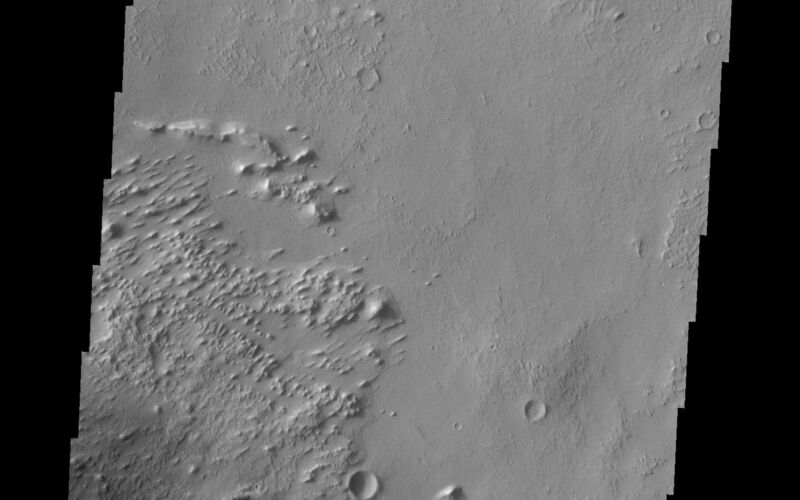 Small, isolated, dark dunes are located on material deposited within Pasteur Crater. Image information: VIS instrument. Latitude 19.5N, Longitude 24.7E. 18 meter/pixel resolution.